Price Drop! Was: $39.99 Now: $19.99 . For a limited time only, while stocks last. Eliminate odor and bacteria in your refrigerator with our brand-new Kenmore 469918 Air Filter, LG LT120F ADQ73214404 Refrigerator Air Filter, 3-Pack! 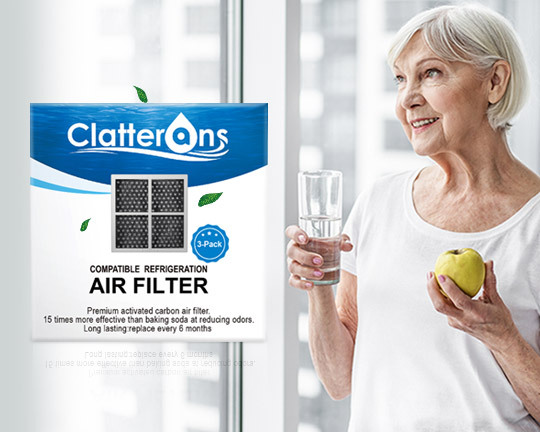 Featuring premium carbon/charcoal, this LG LT120F refrigerator air filter can rapidly absorb the unpleasant odors, including the smell of onions, garlic, fish, and stale milk, leaving fresh and sweet air in your fridge. 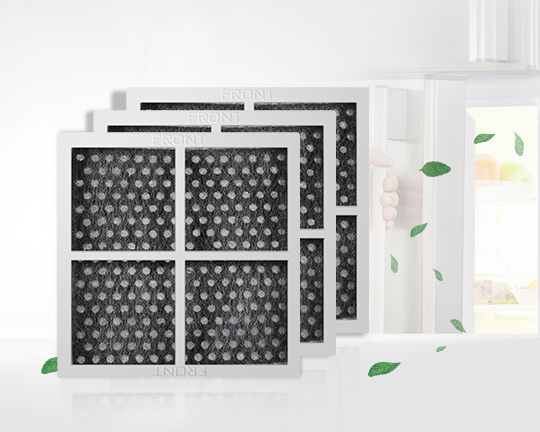 Through the state-of-the-art technology, this LG ADQ73214404 air filter can also control the humidity of your refrigerator, effectively preventing bacterial growth in the food. With a long lifespan of up to six months, the Kenmore 469918 air filter replacement can save you the money and hassle of frequently changing air filters. 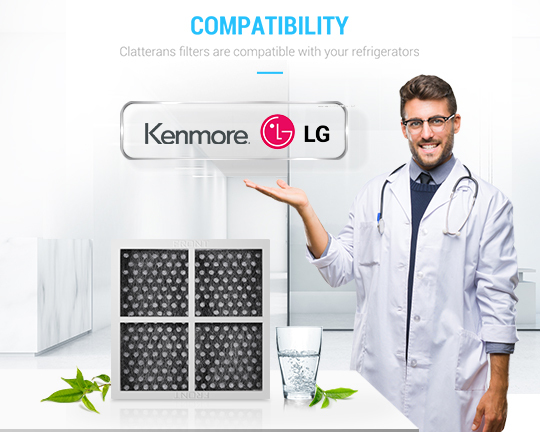 For your peace of mind, our easy-to-install LG LT120F ADQ73214404/Kenmore 469918 fridge air filter needs no tools to replace cartridge inside the refrigerator and the installation only takes a few minutes! Shop now and keep your refrigerator smelling fresh and clean! Compatible with LG LT120F ADQ73214402, ADQ73214403, ADQ73214404, ADQ73334008, ADQ73214406, AP5629741, PS3654115, 2308805 and Kenmore Elite CleanFlow air filter, 469918, 46-9918, 9918. 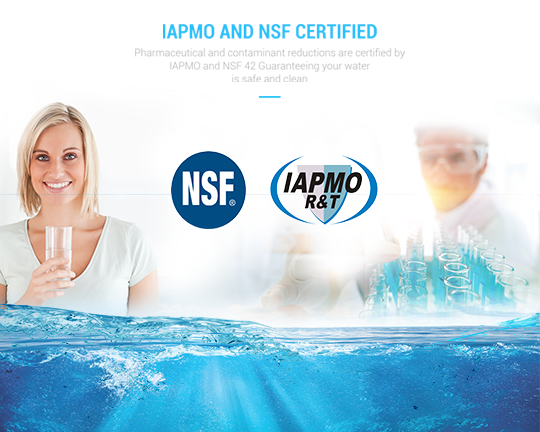 For your peace of mind, our Kenmore 469918 Air Filter, LG LT120F ADQ73214404 Refrigerator Air Filters with up to 6-month longer life are quality approved by IAPMO and NSF. Very reasonably priced. Delivery of item was quicker than quoted. Very satisfied with this product and vendor, I would definitely recommend this vendor. Works fine with my wine cooler refrigerator, this is the second time I have purchased the product and the price is right. Good product and works as advertised. Can't beat the price. Perfect for my refrigerator. Will be ordering again. Thank you Clatterans, Merry Christmas! It's working... I guess. 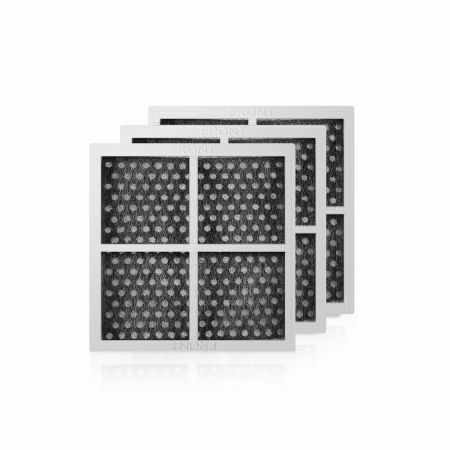 I haven't noticed the quality of the air in my fridge improve but my fridge told me it was time to change the filter and these are cheaper, they come in a 3 pack and seem to be similar quality as the LG brand filters. Perfect for out Frigidaire freezer and refrigerator. Air filter for my fridge, does it's job. Fits and seems to function. 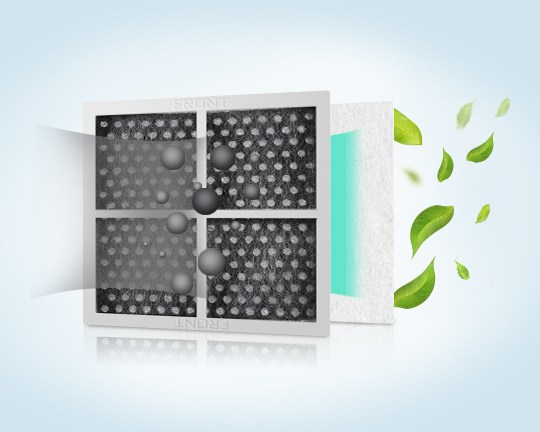 Air filter for my fridge, does its job.